"Salva l'acqua dal profitto e dal petrolio. 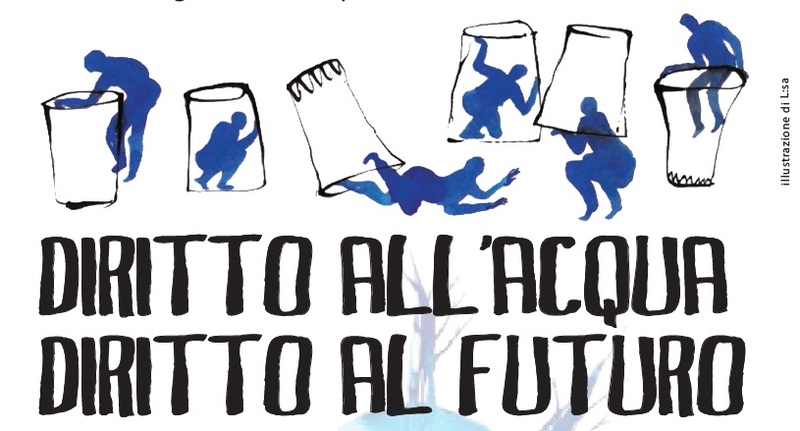 Verso un Acquedotto pubblico e partecipato"
Big victory for the Italian water movements: the Constitutional Court reaffirms 2011's referendum results and blocks the privatization of water and local public services. With the beginning of the Greek economic crisis, the publicly controlled water companies of Athens (EYDAP) and Thessaloniki (EYATH) were among the assets which were to be privatized according to the deal between the Greek government and its creditors. After 2,5 years of struggle by groups in Athens (Save Greek Water) and Thessaloniki (Movement 136, Water Warriors, Soste to nero), two major events forced the government to stop. The one was the popular referendum in Thessaloniki (18 May 2014) where 98% of Thessalonians voted against the privatization of EYATH and the second was the Council of State decision 1906/2014 which ruled that the privatization of EYDAP is unconstitutional. But the third memorandum deal pushes again for the privatization of water services. In the latest privatization plan there is a provision for the sale of 11% of EYDAP and 23% of EYATH (leaving just the 50% plus one stocks to the State) and there is a push for including the two companies in their entirety to a “superfund” which “does not belong to the public or broader public sector”. The Água é de todos campaign defends public water. To this end, in 2013 it launched a legislative initiative of citizens, «Protection of Individual and Common Rights for Water», signed by more than 44 thousand citizens, with a view to consecrating the right to water and preventing privatization. The project was rejected twice in Parliament, in 2014 and 2017. Only the PCP, BE, PEV MPs, joined in 2017 by those of the PAN, voted in favor. Therefore, the message of Água é de todos will continue to focus on the consecration and implementation of the human right to water, against the water trade.